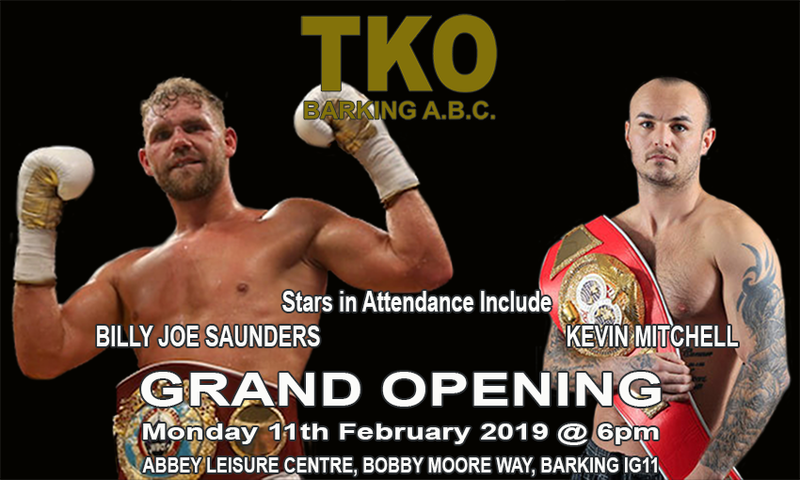 The official launch of TKO Barking A.B.C. will take place at the Abbey Leisure Centre, Bobby Moore Way, Barking IG11 at 6pm on Monday 11th February 2019 and all boxers, media and boxing fans are welcome to attend. Posted in Press ReleasesTagged Billy Joe Saunders, Kevin Mitchell, TKO Barking A.B.C.